I know what you’re thinking, there is not a lot to feel good about in this week’s roundup. Preteens are still having crying spells over Zayn Malick going the opposite direction of One Direction bandmates by exiting the group. A German co-pilot purposely crashed a commercial airline, carrying 150 souls, into the French Alps. And the bad news goes on and on and on. Yet, I found something to interrupt that cycle. An effective way to discourage school dropouts. 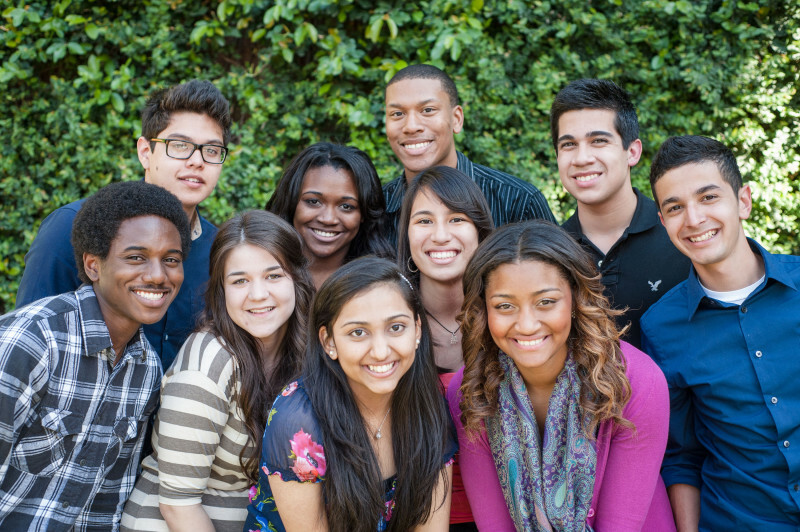 A New York City teacher Deborah Bial created the Posse Foundation–an org that selects driven high school students with higher learning chops overlooked by the traditional college selection process to be taken under a posse of 10 college students wing, and in the process are awarded four-year, full college scholarships–after noticing scholarship undergrads not getting the support they need. It takes a village to raise a child and I suppose create a college scholar as well. The Posse Foundation has been around for 25 years and during that time over 50 colleges and universities have partnered with the org. According to DailyGood, Bial’s innovative program has sent nearly 5,000 students to 48 colleges, full tuition deferred, in groups of 10 and have a 90 percent graduation rate. We recognized early on,” Bial says, “that SAT and ACT scores do not capture every student’s aptitude for college-level work. There are many students who could perform competitively and succeed in college, but who might be missed by such traditional measures. Communication, communication, communication. It’s not just necessary in relationships. Students attend meetings leading up to their on-campus move in. Leadership training and on campus support systems is what gets them to the four-year finish line. However, the Posse Foundation is very selective on who they allow in the program. Because it’s less about SAT scores and more about kids interaction in group interviews that test problem solving and team work skills. Bial’s cup runneth over with worthy candidates now she needs more campuses to host them. We are simply turning away too many highly qualified students,” she says. “We cannot add partners quickly enough to take all the talented students we have in our pipeline. Let’s hope she finds them. Yesterday, media outlets flocked to lower Manhattan when four buildings collapsed; a result of a gas explosion. A few seconds before they did an off duty firefighter raced to the building to rescue a woman hanging on her fire escape. He scaled the building and managed to get the woman and her pet out safely. According to the New York Daily News, he got the woman out in less than a minute before it exploded in a ball of flames. As horribly tragic as the situation is–two people are still missing and four out of 22 people are in critical condition–it’s nice to see New Yorkers lending a hand to help one another.